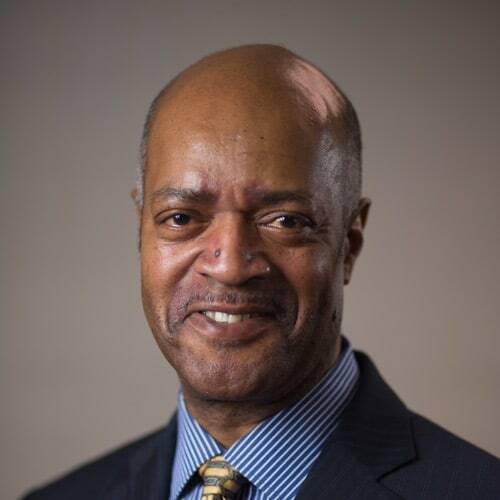 As the executive director, Paul manages the strategic direction and daily operations of the City of Baltimore Small Business Resource Center, a 501 c (3), and a subsidiary of the Baltimore Development Corporation. He also advocates for small businesses in the City of Baltimore and throughout the State of Maryland. He is the recipient of the SBA’s Small Business Champion of the Year for 2007 and the District Director’s Unsung Hero 2009, and Minority Small Business Champion of the Year Award for 2007. Paul has also been awarded with the Greater Baltimore Committee’s Bridging the Gap Achievement award. Through his leadership, Paul has worked with the past administration to double the resources of the Small Business Resource Center and launched Baltimore Source Link (an online resource) to connect entrepreneurs to City and State resources. Paul is a founding member of the Greater Baltimore Black Chamber of Commerce and a past member of the board directors of the Baltimore City Chamber of Commerce. He also served as the president of the Board of Directors for Channel 75 public access T.V. Station in Baltimore City. Paul is a board member of the Maryland Small Business Development Financing Authority’s loan committee (MSBDFA). In addition, Paul is a founding member of the African American Real Estate Professionals Maryland (now known as the Commercial Real Estate Professionals) and is president of the Ashburton Area Association.